1. Tune out Tinnitus - An important element in tinnitus treatment is the use of sound. Amplified sound from hearing aids, environmental influences, music, or noise generators can help minimize the contrast between the buzzing or ringing of tinnitus and the surrounding sound environment. 2. Avoid Tinnitus Triggers – Noise exposure is thought to be a leading cause of tinnitus. Wear ear protection when around loud sounds. 3. Get a Tinnitus Evaluation – Assessment and counseling with an experienced hearing healthcare professional trained in managing tinnitus can help determine the cause of the tinnitus and minimize the negative impact it may have on your quality of life. The effects of tinnitus can often be lessened by a combination of counseling and sound stimulation. 4. Use a Tinnitus Management Device – Tinnitus management devices look like hearing aids and have special technology, including fractal tones, to help you get relief from tinnitus. 5. 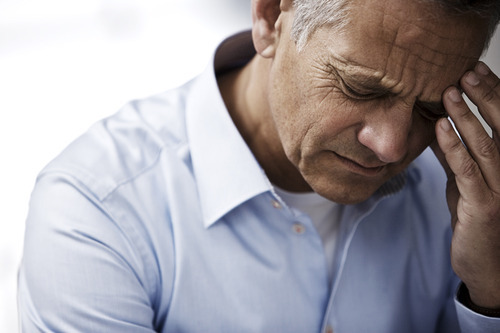 Relax – Stress can often make tinnitus worse. Read a book, go for a walk, and practice breathing techniques and other methods of enhancing your ability to relax. Tinnitus is the perception of hearing sounds in your head that are not produced by any external source. Usually, this perception is inaudible to others. Most often, it is a consequence of having a hearing loss, of any degree. It usually sounds like ringing, hissing, or buzzing in the ears. Tinnitus can be caused by thousands of things, including hearing loss, ear infections, noise exposure, ear wax, stress, extreme weight change, and a variety of medications. Depending on the cause, there may be no actual cure for tinnitus, but tinnitus management devices, sound therapy, and counseling can help those suffering from it to better manage the condition. Your hearing health care provider can help you learn methods of coping and helping your brian to ignore tinnitus, just like it does to many external, unimportant sounds. Where can I find out more about tinnitus? The American Tinnitus Association (www.ata.org) and the British Tinnitus Association (www.tinnitus.org.uk) provide support and information for people with tinnitus. You can also schedule an appointment with an Audiologist at Hearing Rehab Center to learn more about tinnitus and to get all of your questions about the buzzing in your ears answered.